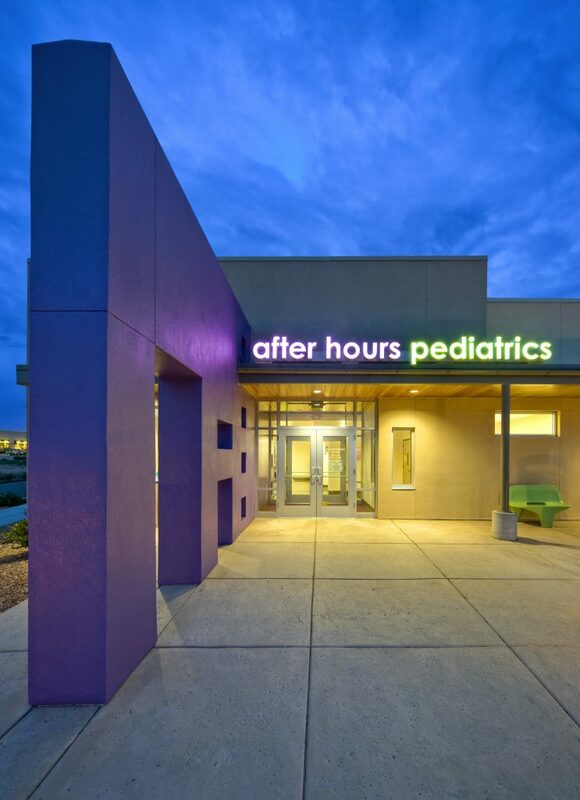 After Hours Pediatrics’ newest office is conveniently located for families on Albuquerque’s growing west side and close to a new hospital. 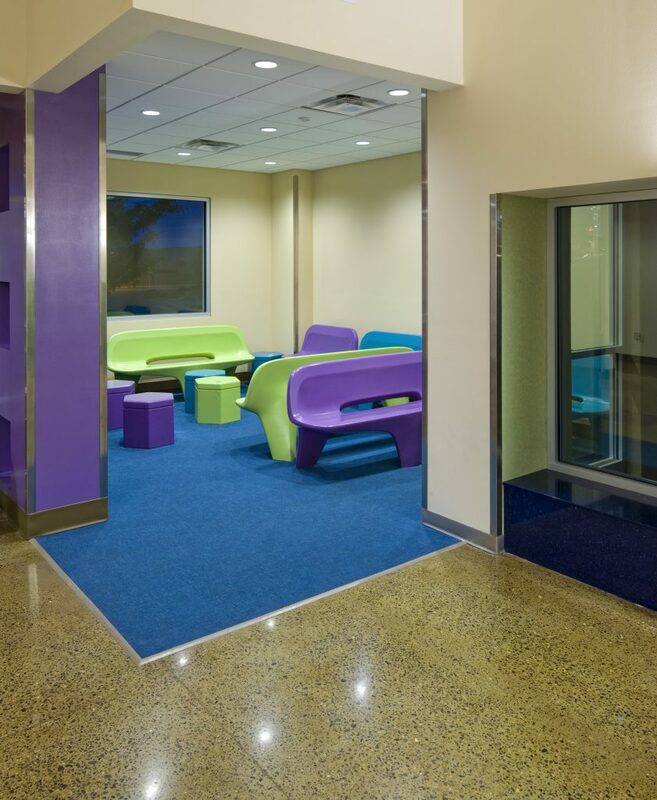 The design concept was to provide an atmosphere that reinforced their new branding effort and to carry on the recognizable tradition of providing colorful, comfortable and durable environments for young patients and their families. 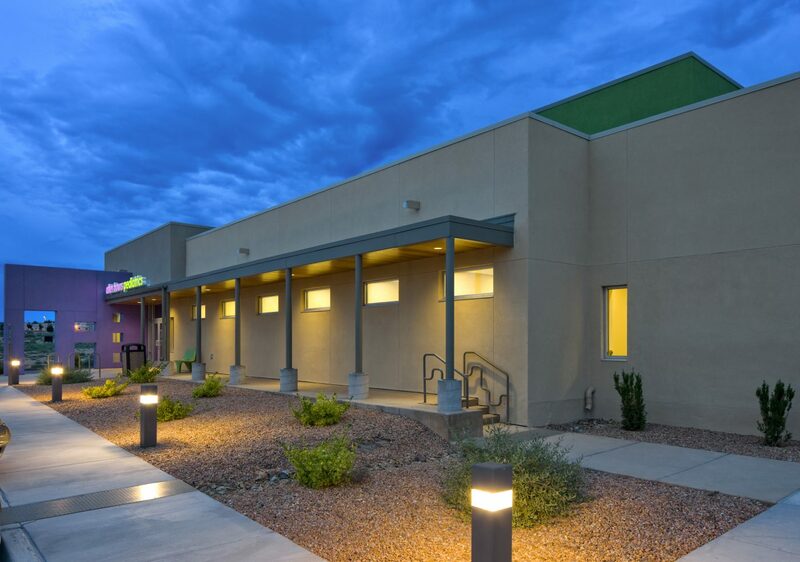 The exterior includes a pop of purple and green to match the AHP logo. 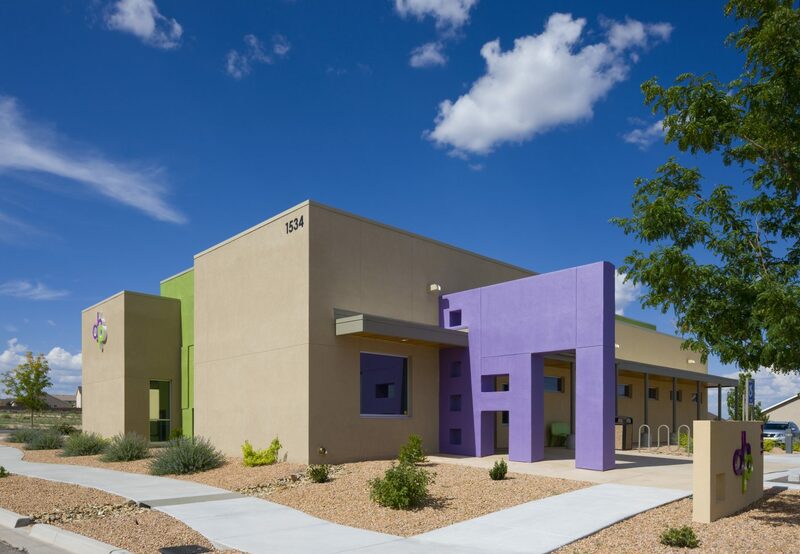 The green “signboard” is seen from the street and a purple yard wall guides the young patients to the front door. The colors continue inside to the check-in desk and spills into the wellness and illness waiting areas on each side of the activated lobby. 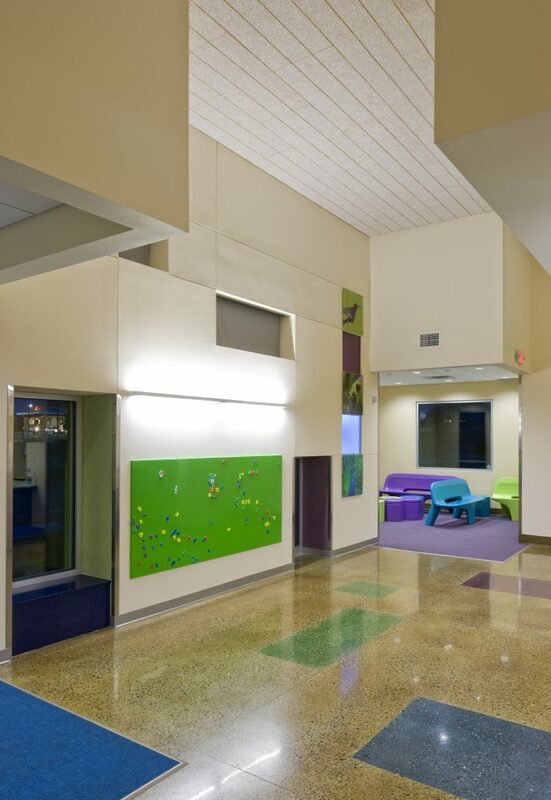 The public spaces include custom designed benches, custom animal artwork, strategically placed windows and the ever-popular magnetic board to engage young visitors and patients. An animal theme is incorporated in the way-finding throughout the patient room and open nurse station. 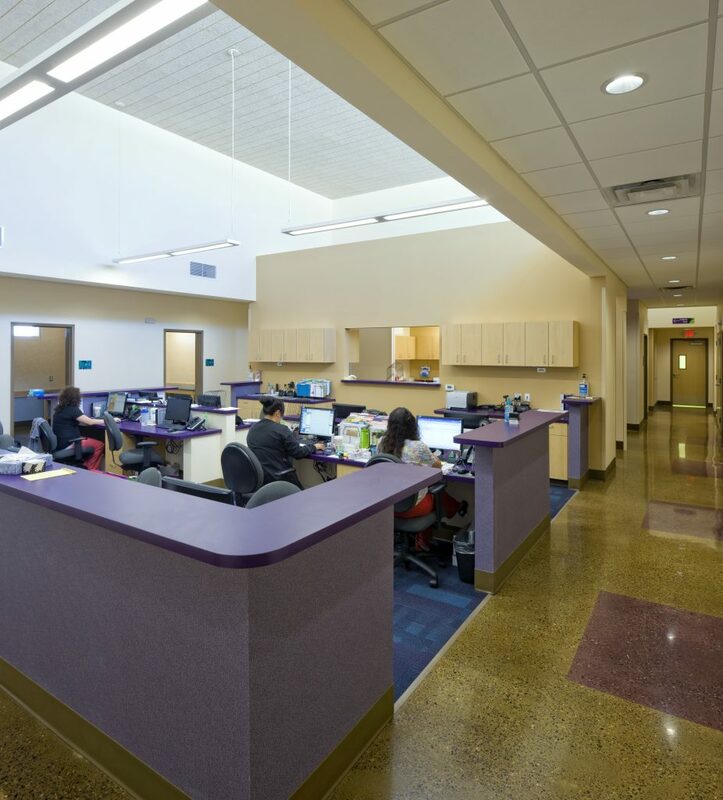 Outside and inside, the building design focuses on making the young patients and their families comfortable as well as creating a space that medical providers and staff can appreciate.